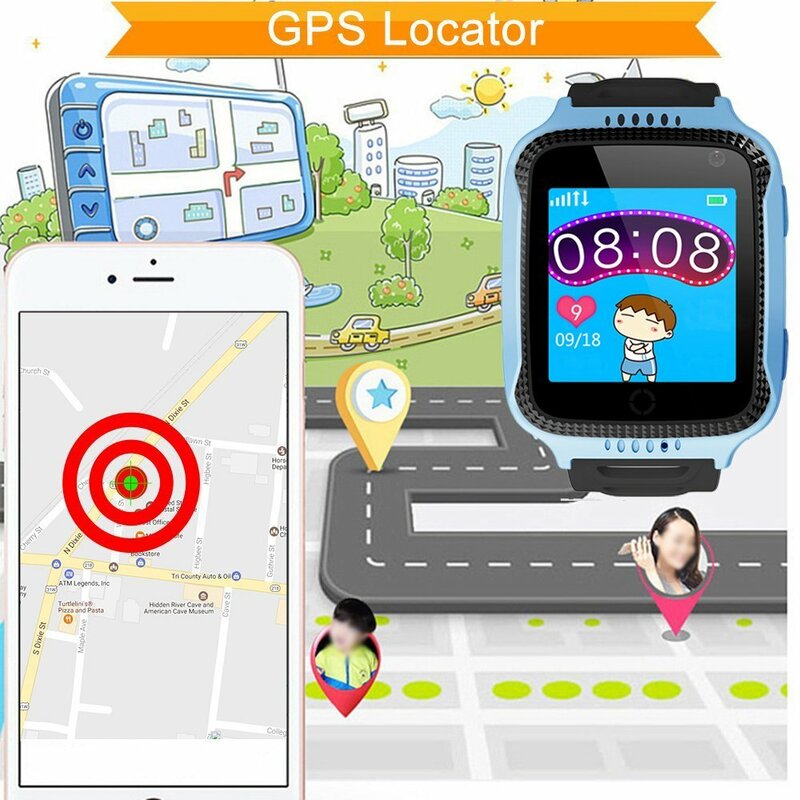 GPS + LBS positioning: Track your kids location at any time. And it have 2 kinds of map. Satallite map and Normal Map. To help you to know the location of the kids more intuitive. ✦ Remote Voice Monitor : Set the voice monitor number in App, dial the number, the watch will automatically answer without remind. So the parents can hear the sound around the child secretly. ✦ WeChat and camera: Two way talk back functions. You can make a voice communicate with the child at any time. And the child can make a photo by themselves and then upload to your phone. ✦ Quick leaning games: Math games learning. Help to improve the intelligent of the child. ✦ Notes: Only support 2G GSM micro sim card with data and voice plan. Not support CDMA sim card. Recommend SpeedTalk Mobile Card which has a $5 plan. If you meet some problem in setting the watch. Before returning it back, Please feel free to contact us: 707549365@qq.com. We will make a reply in 24 hours to help you to solve the problem. Please choose a SIM card which can support GSM 2G internet and has 2G digital service. About the size of the SIM card, you need to buy the Micro SIM card as picture. If the SIM card can’t be inserted into the watch, please use a needle as the picture to insert it into the watch. After inserting the SIM card, please check if there have signals or 2G network. Without one of them, the watch can’t work.